Finding the right copper roofing company has never been easier than turning to Roland Slate Service. We go the extra mile to provide the best possible service to all of our customers, offering them the products they need at prices that won’t break the bank. But don’t just take our word for it. Our commitment to integrity and customer care has earned us an A+ rating with the Better Business Bureau, along with their prestigious Torch Award. Enhanced durability – As with any metal roof, copper provides enhanced protection against the elements and is built to last a lifetime. Low maintenance requirements – You can spend less time maintaining your roof and more time enjoying its stunning beauty. Resistance to combustion and insect infestation – Copper provides an extra layer of protection for your home with its resistance to fire damage and provides no comfort or attraction to nesting insects. 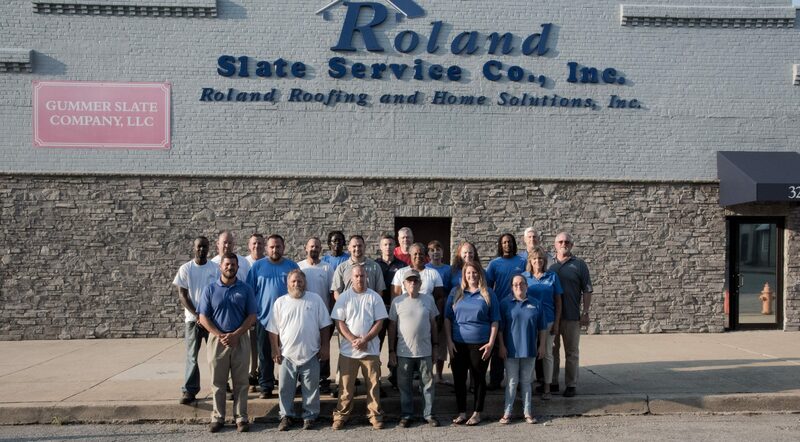 When you partner with Roland Slate Service, you will appreciate our attention to detail and dedication to excellence. Our installers are some of the most knowledgeable professionals in the business and must go through our proprietary training to ensure they have the necessary skills to get the job done right the first time. 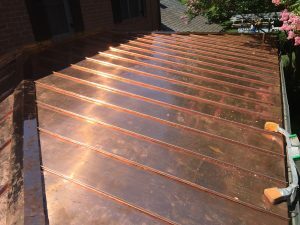 To learn more about why we are considered by many to be the copper roofing company of choice in the Towson area, contact Roland Slate Service today.